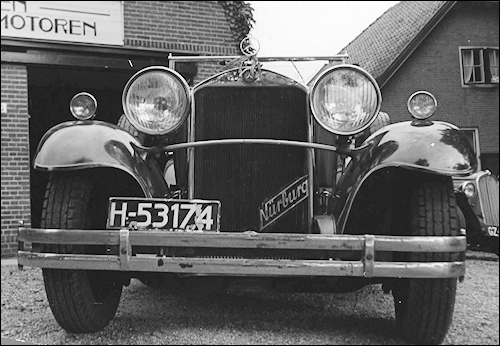 February: The "Nürburg" is also made available with overdrive transmission and a 5 l engine. 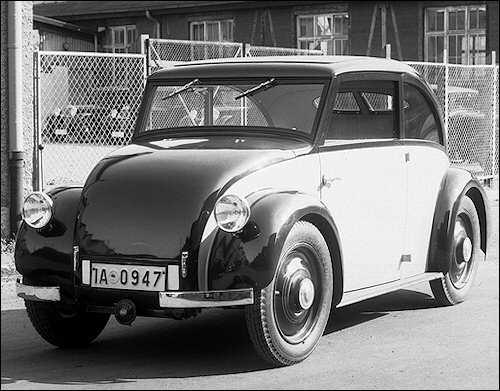 This variant later acquires the designation "Nürburg" 500. 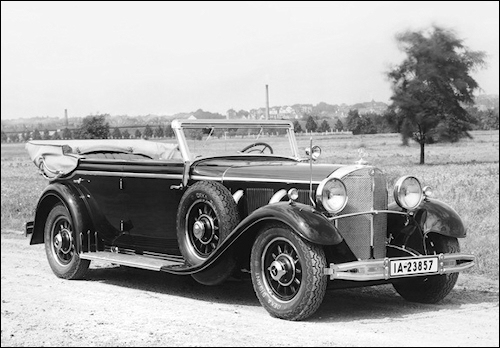 19 February - 1 March: Two sporty, elegant variants of the Mercedes-Benz Mannheim make their debut at the International Motor Show in Berlin: the 370 K, available as four-seater Special Convertible NC, and the two-seater 370 S, available as Roadster or Convertible. 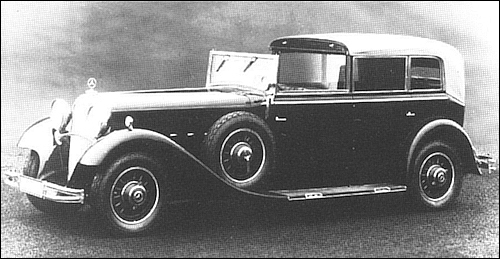 March: A newly-founded company - "Société des Diesel Rapides" in Paris - is granted manufacturing rights for Daimler-Benz diesel engines in France. 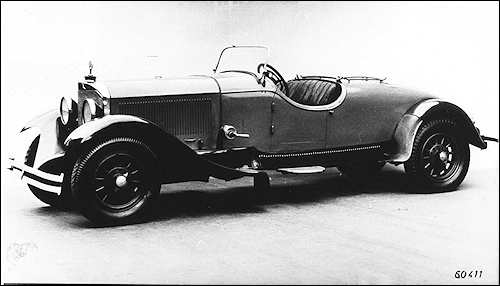 April 12 - 13: The 1,000 mile race in Brescia, Italy (1,635 km) is won by Rudolf Caracciola and Wilhelm Sebastian in a Mercedes-Benz "SSKL" at an average speed of 101.1 km/h. 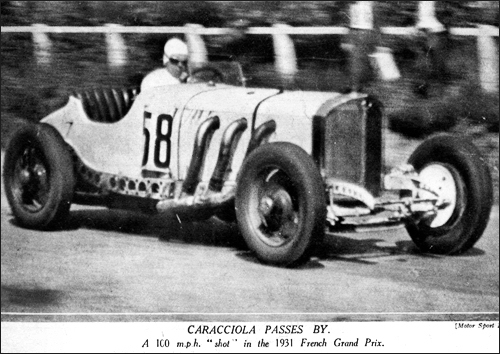 Caracciola is the first non-Italian winner in the history of the "Mille Miglia" race. September: Rudolf Caracciola retains his "European Hill-Climb for Sports Cars Championship" crown in a Mercedes-Benz "SSK". 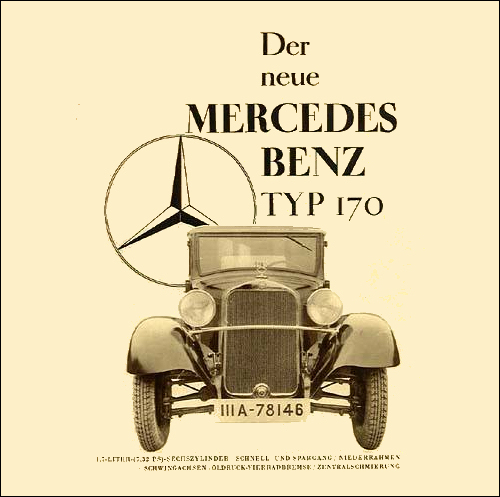 October 1 - 11: At the Paris Motor Show Daimler-Benz AG launches the 170 (W 15). Innovations include independent suspension front and rear. 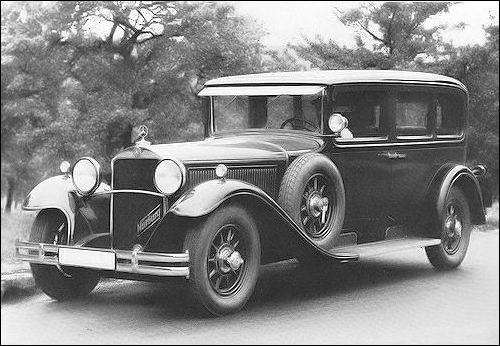 The smallest car yet produced by Daimler-Benz AG, the 170 comes just at the right moment in these times of economic crisis. November: To ensure capacity utilisation, the Sindelfingen plant begins producing bodies for BMW. In February two new Mannheim models were unveiled at the Berlin Motor Show: a Convertible NC with a shorter 3025 mm wheelbase and a sports convertible with lowered chassis and an even shorter 2850 mm wheelbase. Both variants are powered by a yet further modified engine, which, with cylinder displacement of 3.7 litres giving a power output of 75 hp. 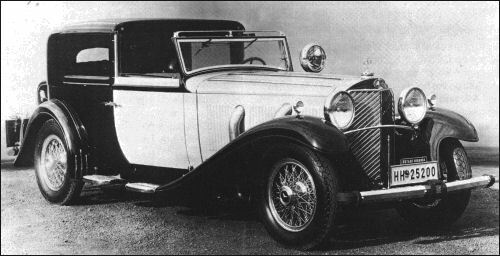 The convertible NC carry the official model designation 14/75 hp Mannheim 370 K (internal: WK 10), the K standing for "Kurz" (Short). 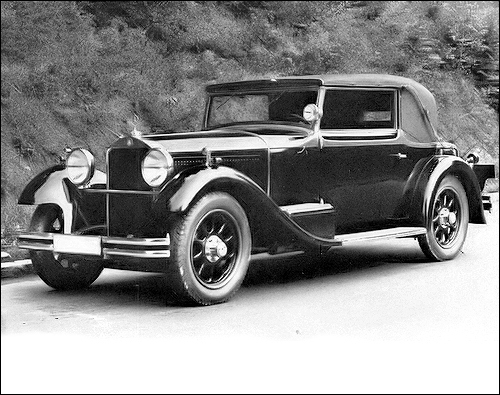 The sporty version with still shorter wheelbase is called the 14/75 hp Mannheim 370 S (internal: WS 10) and is available as a sports convertible or roadster. 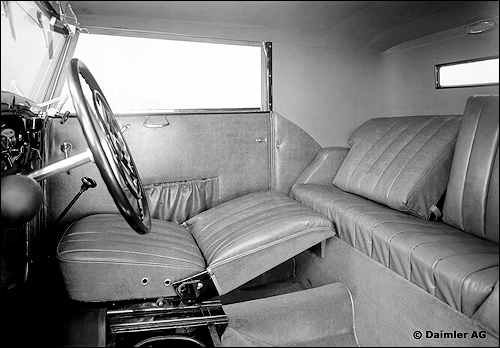 The low-slung two-seater bodies are reminiscent of the legendary SSK. 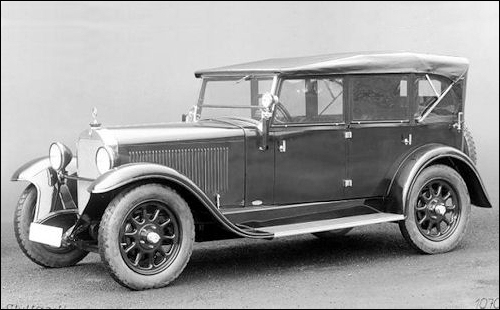 Although the 370 S has nominally the same power output as the 370 K, its lower weight and twin carburettors gave it significantly livelier performance than the other 3.7‑litre models. From the autumn the standard-wheelbase versions of the Mannheim 350 are also provided with the 3.7‑litre engine and renamed Mannheim 370. The three-speed transmission is available with optional overdrive. 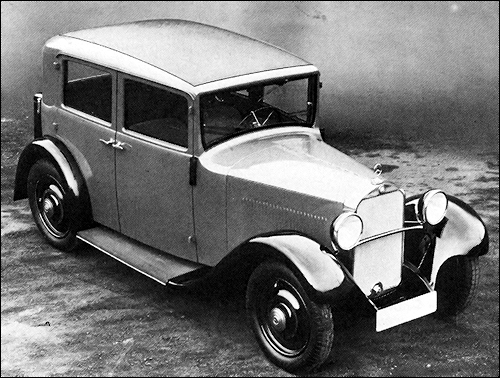 The choice of body variants remains unchanged from the Mannheim 350, except for the four-seater saloon, which was dropped from the range. From February Nürburg 460 become optionally available with overdrive. Although this optional extra cost an additional RM 2,000, it includes Zeiss headlamps as well as an engine with a larger displacement. This option soon become the Nürburg 500. (W 06) SS (27/170/225 PS) (R6 cyl, 7065 ccm, 170/225 PS; wb: 3400 mm) - 4 ex. (W 06 III) SSK (27/170/225 PS) (R6 cyl, 7065 ccm, 170/225 PS; wb: 2950 mm) - 4 ex. (WS 06) SSK (27/180/250 PS) - 0 ex. (W 06 RS) SSKL (27/240/300 PS) (R6 cyl, 7065 ccm, 240/300 PS; wb: 2950 mm) - 2 ex. (W 07) 770 (R8 cyl, 7655 ccm, 150 PS; wb: 3750 mm) - 42 ex. 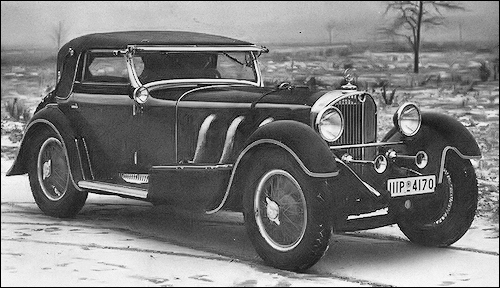 770 Cabriolet F built for Kaiser Wilhelm II. 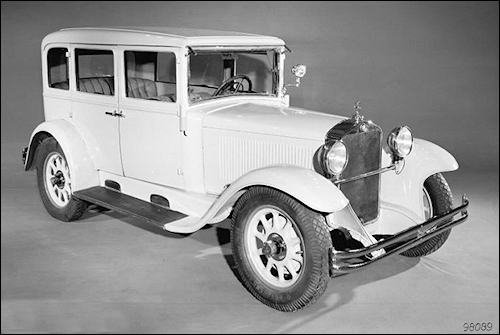 The Mercedes-Benz 170 was unveiled in October 1931 at the Paris Motor Show. 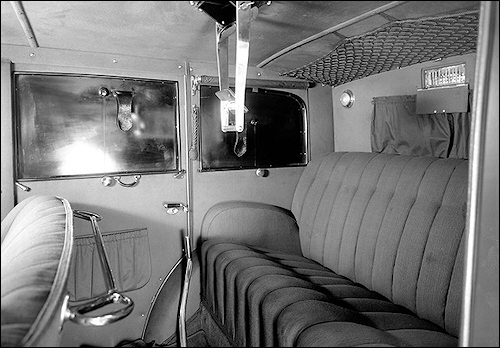 The vehicle is equipped with front and rear swing axles, i.e. 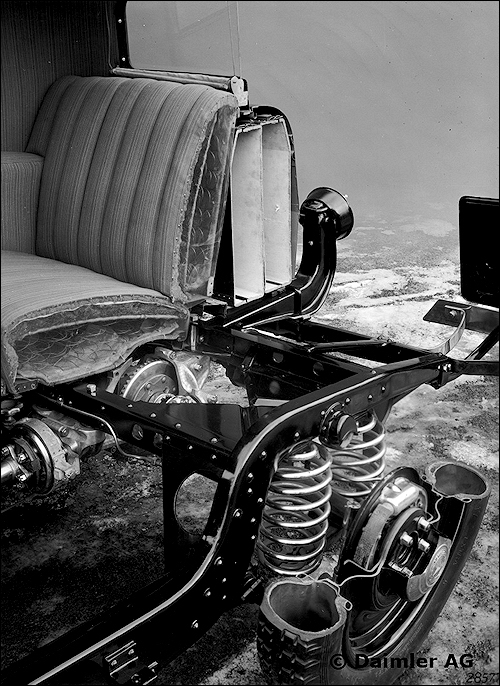 independent wheel suspension. 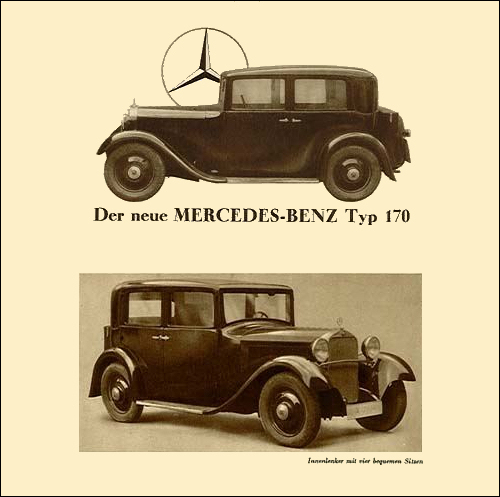 Despite its six-cylinder engine in the four-door saloon variant, the "small Mercedes" cost RM 4,400 - almost RM 1,600 less than the cheapest version of the Stuttgart. The 170 is available as a four-door saloon and four-seater Convertible C. A notable feature is a free-standing exterior boot which, although small, come as standard. The air-cooled, horizontally opposed, four-cylinder overhead-valve engine develops output of 25 hp. 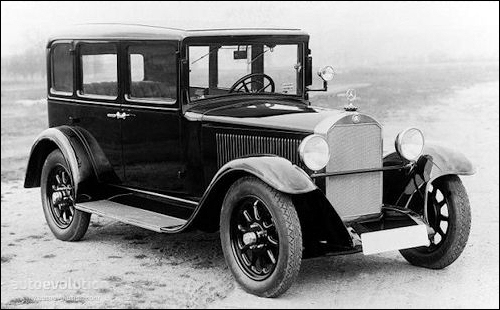 Three-speed transmission, rear swing axle and a rigid front axle with semi-elliptical springs. 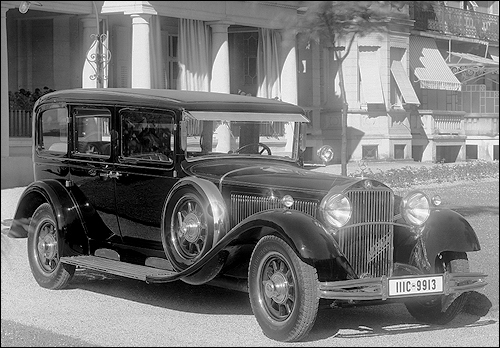 Two different body variants: an angular saloon and a streamlined fast-back saloon with thoroughly attractive styling. 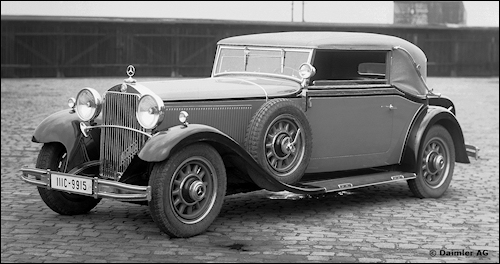 Neither of the two variants of the W 17 went into production. 26 SSK Ivanowski / Stoffel Boris Ivanowski fail. 58 SSKL Caracciola / Merz Rudolf Caracciola fail. 2 SSKL von Brauchitsch von Brauchitsch fail. 12/13 April: Rudolf Caracciola and Wilhelm Sebastian takes victory at the wheel of a Mercedes-Benz SSKL (W 06 RS) in the Mille Miglia, the 1000-mile race from Rome to Brescia and back, setting an average speed of 101.1 km/h over the 1635-km course. Caracciola thus becomes the first non-Italian winner in the history of the race. The SSKL (which stands for "Super Sport Short Light") represents the final stage in the development of the S series and is only built as a race-trim two-seater. Under the bonnet is a 7-litre engine, which delivers 240 hp / 176 kW without and 300 hp / 221 kW with supercharger and enables a top speed of 235 km/h. 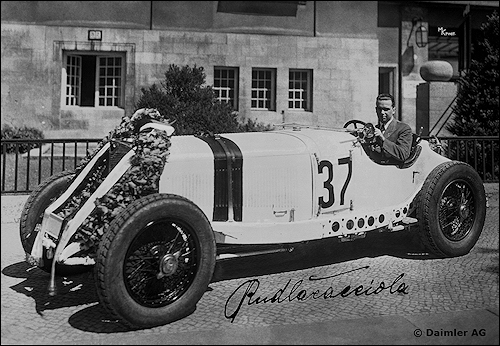 3 August: Rudolf Caracciola wins the AVUS Race in Berlin in a Mercedes-Benz SSKL, posting an average speed of 185.7 km/h. 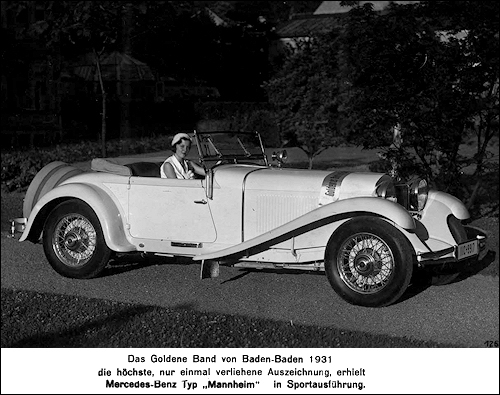 20 September: Rudolf Caracciola wins the Dreihotter Hillclimb to become European Sports Car Hillclimb champion once again, this time in a Mercedes-Benz SSKL. 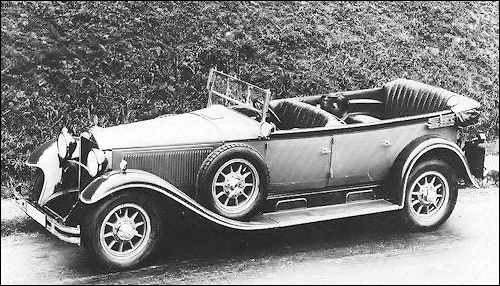 03.10.1931 Brooklands 500 Miles 2 0 fail. 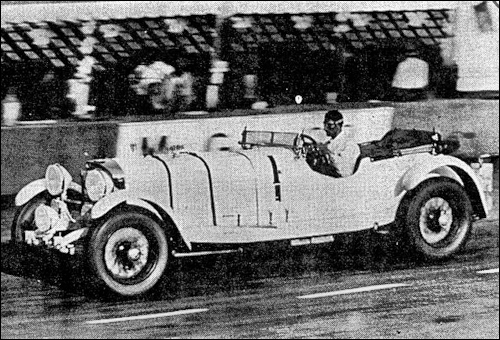 SSK (C. Boris Ivanowski / Henri Stoffel) finished 2nd at Le Mans. 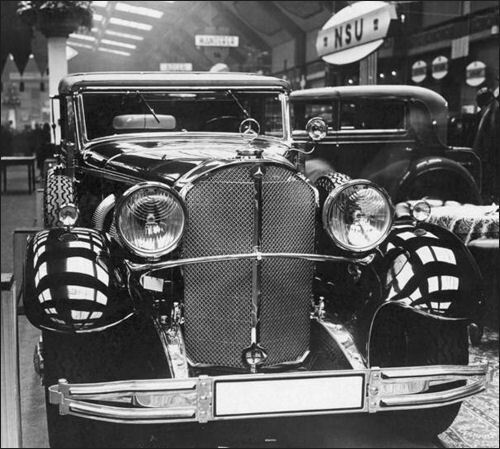 Rudolf Caracciola at the Salzufer dealership of Daimler-Benz AG in Berlin-Charlottenburg. 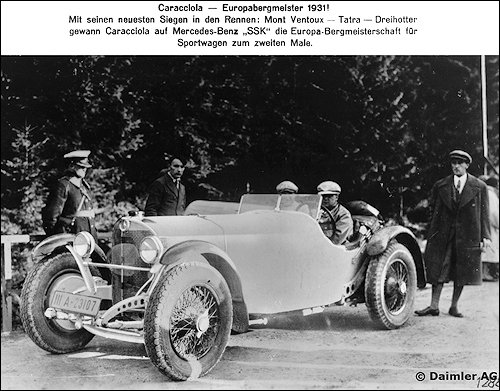 Rudolf Caracciola drove a Mercedes-Benz SSKL racing sports car (start number 37) to victory in the Avus race in Berlin. Tatra hillclimb "European Hill Climb Championship", August 16, 1931. 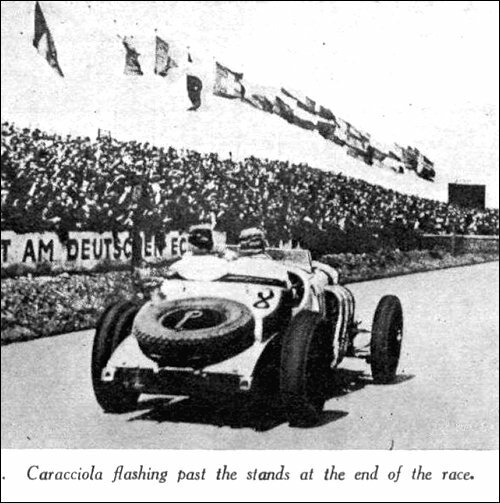 Rudolf Caracciola clinched race victory in a Mercedes-Benz SSKL racing sports car. 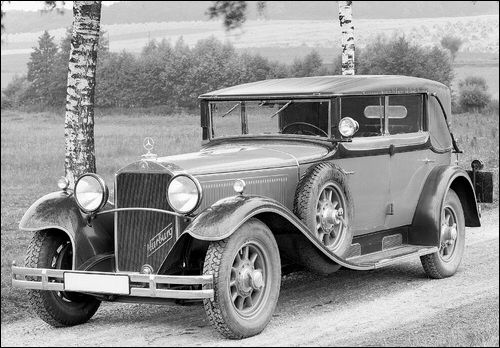 16-21.01.1931 Rallye Monte Carlo 5 ? ? ?